WASHINGTON -- American automakers, aluminum producers, manufacturers and farmers are running out of time, money and patience as the North American tariff standoff persists, and they're pleading with the United States to put an end to it. Industry emissaries are warning U.S. Trade Representative Robert Lighthizer and Commerce Secretary Wilbur Ross that President Donald Trump's tariffs on Mexican and Canadian steel and aluminum, as well as their reciprocal countermeasures, are rapidly undermining whatever benefits the U.S.-Mexico-Canada Agreement will produce once it takes effect. "The damage from the reciprocal trade actions in the steel dispute far outweighs any benefit that may accrue to them from the USMCA," the group writes in a letter released this week by a coalition of more than 40 different industry associations and lobby groups. 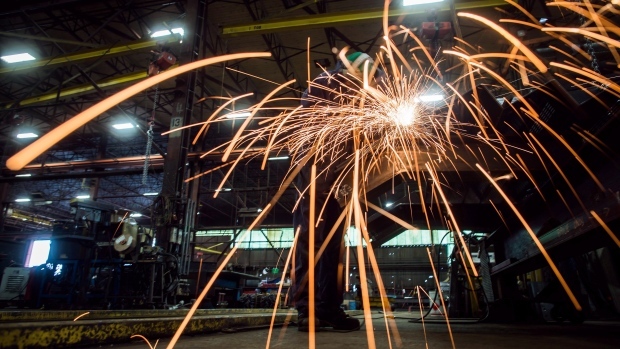 "The continued application of metal tariffs means ongoing economic hardship for U.S. companies that depend on imported steel and aluminum, but that are not exempted from these tariffs. Producers of agricultural and manufactured products that are highly dependent on the Mexican and Canadian markets are also suffering serious financial losses." During a panel discussion Thursday on the impact of the tariffs, Matt Blunt, a former Missouri governor who now serves as president of the American Automotive Policy Council, said ending the impasse will be a central part of his group's lobbying efforts as they work to convince members of Congress to support the new North American free trade deal on Capitol Hill. "Every door we knock on, we'll be encouraging support for USMCA," Blunt said. "In the same breath, we'll be encouraging members and folks in the administration to deal with this real (tariff) challenge, which risks undermining the good work that the administration did on USMCA." It currently costs $464 more per vehicle to produce a car in the United States, Blunt said -- and between $275 and $300 of that is a direct result of the steel and aluminum tariffs. Heidi Biggs Brock, president and chief executive of the Aluminum Association, which represents primarily midstream and downstream manufacturers, said tariffs on North American trading partners miss the point of Trump's broader trade philosophy: compelling China to play by the rules. China, fuelled by what she called "massive, unfair state subsidies," produces some 11 million metric tonnes more aluminum than it consumes each year -- overcapacity that by itself dwarfs the U.S. primary aluminum industry by a factor of six, Biggs Brock said. In other words, American manufacturers are dependent on imports from trading partners the U.S. can trust -- partners like Mexico and Canada. A scorched-earth approach that hurts everybody isn't good for anybody, she argued. In fact, said Biggs Brock, the tariffs may be having a perverse impact on America's biggest trade rival. "China's capacity has grown by more than 62 per cent over the last five years, and last year alone it grew by an additional six per cent," she said. "So, despite the very good intentions on behalf of the administration to strengthen the U.S. aluminum industry, there is in fact evidence that the tariffs may actually be helping Chinese aluminum producers enter new markets by increasing China's price advantage over aluminum produced in North America." On the steel side, Chris Pratt, the operations manager with the largest nail manufacturer in the U.S., illustrated the impact of the tariffs in the starkest of terms. Missouri-based Mid-Continent Steel and Wire makes more than half the U.S. nails used in American construction, but fully 80 per cent of all nails used in the U.S. are supplied by imports, Pratt said. Trump's tariffs caused an immediate 25 per cent spike in Mid-Continent's operating costs. "Sixty per cent of the orders that were on the books were gone within a matter of 14 days," said Pratt, who noted the company has had to lay off 209 employees, nearly halving its workforce. Meanwhile, imported nails from countries like Turkey and Malaysia, which aren't dealing with tariffs, are asserting even more dominance, he added. All the while, at the urging of U.S. lawmakers, the company has kept its doors open, largely by sheer force of will. "We're still here, fighting the battle every day," he said. "We're holding up our end of the bargain." How much longer they can hold out remains an open question. On Wednesday, David MacNaughton, Canada's ambassador to the U.S., quoted Trump's own Twitter feed as he reminded a group of U.S. mayors that the president has committed to lifting the tariffs once a new North American trade deal was in place. When will it happen? That's all farmers and ranchers want to know, said David Salmonsen, senior director of government relations with the American Farm Bureau Federation. "When is this or that going to end, when is this or that going to happen, when are these tariffs going to end, when is Congress going to pass USMCA -- when, when, when?" Salmonsen said. "At the end of the day, we're facing an issue that just doesn't want to end. Like my members, 'when' is the final question."